Description: South Sea and Tahitian Pearl Collection is a fresh and contemporary approach to traditional pearls, inspired by the lush tropical surroundings of St. Barts. 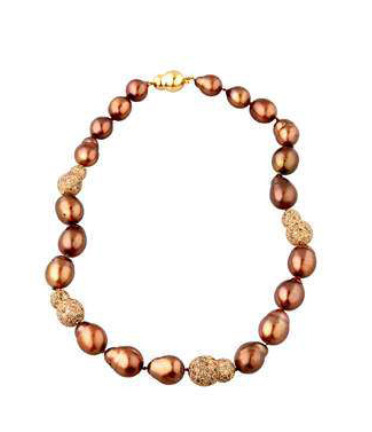 The layerable strands of pearls are handcrafted using natural materials such as rawhide and leather cords, and featured in luminescent hues and embellished with pave diamond nuggets to reflect the island’s peaceful environment and Caribbean elegance. The sophisticated yet playful pieces of mix-and-match necklaces, bracelets, earrings and anklets retail from $350 to $10,500. Robert Perlman offers something for everyone and can be easily dressed up for a cocktail party or dressed down for casual day out.